When you first set off to buy silver and gold products, there are many factors which will likely influence your decision making. A product's price is most certainly one of the most important decision making factors. Gold and silver dealers know this, and therefore most dealers build their business models and advertising campaigns around low price offers. Who doesn't want to save some fiat currency on a trade if they can? The article states, "Consumers across the country have reported late or missing shipments of rare, silver and gold coins purchased from the Orange County precious-metals dealer. Clients say they have lost tens of thousands of dollars in investments, prompting some to take the business to court." And according to the Business Consumer Alliance, there are over 240 complaints for this same dealer over the past 3 years. What about gold dealers supposedly offering low cost bullion product(s) only to allegedly switch their customers into high profit, commission driven products? Last Thursday, the city of Santa Monica filed a lawsuit against another Santa Monica-based precious metals dealer for allegedly engaging in a nationwide “bait and switch scam” by using false, deceptive, and aggressive sales tactics to trick customers into buying heavily marked-up collector coins instead of gold or silver bars. Perhaps you have seen their 1% over cost internet banner advertisements or TV commercials? • That the collector coins are a better investment than bullion. • That the collector coins offer more privacy than bullion. • That the collector coins are not “reportable” on consumers’ taxes. • That the collector coins can’t be confiscated by the government, while bullion can be. The lawsuit further alleges that the supposed collector coins have none of those advantages over gold or silver bullion. City attorneys claim the nationwide scheme has allowed this dealer to defraud consumers of "tens of millions of dollars," as a "typical... customer 'invests' five figures, six figures, or more in overpriced coins". 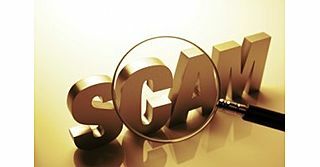 One might think that when performing Due Diligence on gold and silver dealers, you could simply do a quick Better Business Bureau (BBB) investigation to make certain a prospective company is doing business ethically. That is just not true anymore (click here to see this 20/20 investigation about how $420 got fake businesses A+ ratings). Checking the BBB rating of a business (or in California the Business Consumer Alliance - BCA Rating) is not as important as specifically investigating the volume and types of complaints filed against a business. Always examine the actual volumes of complaints a company receives as well as viewing the actual complaints themselves. By doing so, you will get the best insight as to how a company handles discrepancies and what types of issues their customers habitually run into. Some filed complaints may seem minor (perhaps an undisclosed shipping charge of $20 or so) while some are much more egregious, where people's retirement or life savings hang in the balance. For instance, below is a BCA complaint filed by a customer of the company which, according to the City of Santa Monica's lawsuit, allegedly displays low cost bullion bait and switch ads only to up-sell consumers into overpriced collector coins. Run away from this company. When I bought my gold coins, gold was just a little over $1,000 per ounce. I purchased $25,000 in gold coins from this company through my IRA. Today gold is just over $1,700 per ounce. What are my gold coins worth according to my IRA? Only $20,000. How is that possible? XXXX Financial made a 100% markup on my coins. That's right, I paid double their value. These people are not honest brokers, they are salesmen. They aren't interested in honesty, ethics, or morals. They are interested in making as much money as they can from you, the novice and unsuspecting buyer. I was told it was a 3-5 year investment. For what, to break even while gold soars? XXXX Financial are scam artists. Run away. Fast. Even with 67 individual customer complaints over the last three years, this dealer still has a AAA rating... the highest most exemplary rating achievable with the Business Consumer Alliance (BCA). Hopefully now you understand why I am stressing to you to check a company's complaint volumes and substance over their (easy to buy) ratings. - Google Search the company's name or url with additional terms like "scam" or "rip off" to find potential postings of customer complaints. - Search the company's name on consumer protection websites like RipoffReport.com. - If a company does not publish their buy and sell prices live online be wary. If a dealer balks on giving you their buy and sell information on any product they offer you, move on. Stay tuned as we will continue to supply you with actionable high quality information helping you make the right choices, choose the right product(s) for your needs, and deliver you genuine products at fair prices within transparent timeframes.